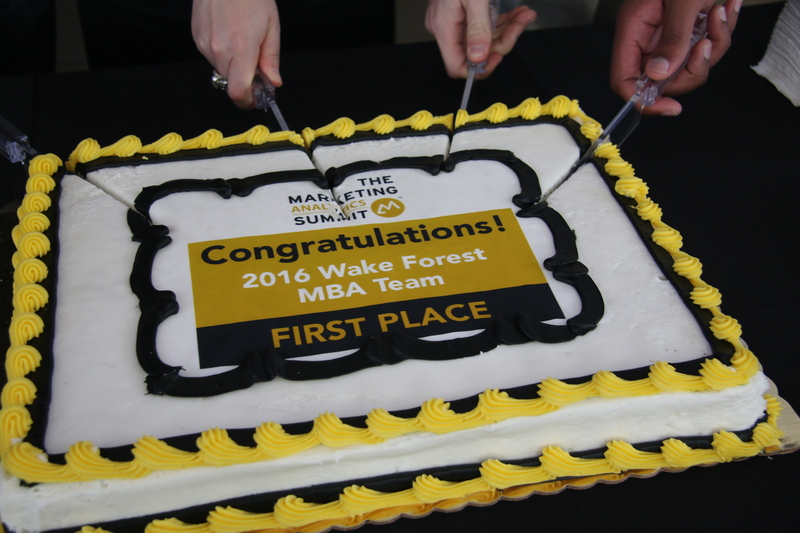 “The Wake Forest teams did an excellent job from start to finish. 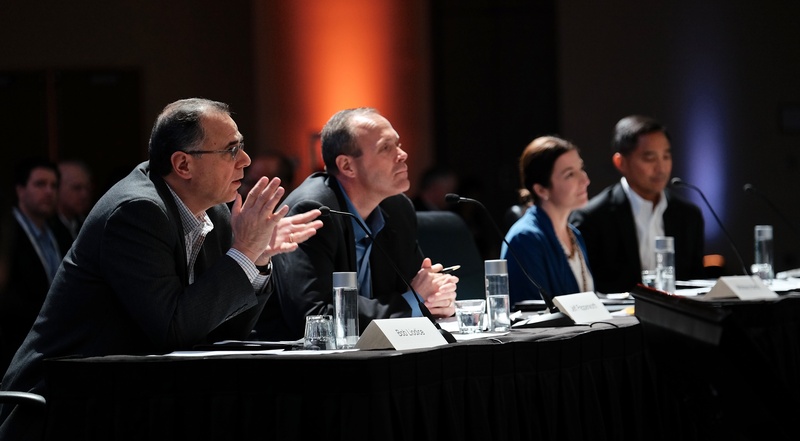 They both set up their situations very clearly and established their solutions right up front,” said Whitney Hardy, vice president, marketing and enterprise branding at CVS Health, and one of the four senior executives who formed the Summit’s final round judging panel. 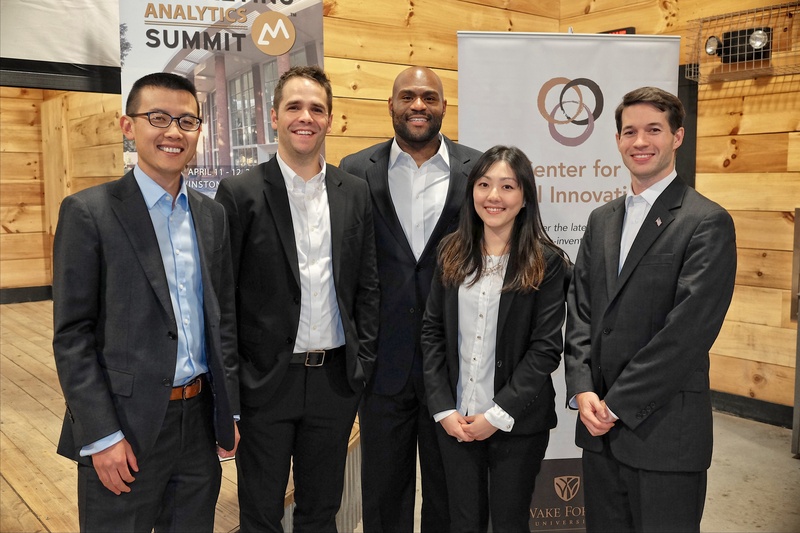 The Summit, the longest-running student-led event at the School of Business, provided an opportunity for students to gain a deeper appreciation for the relationship between marketing and analytics. 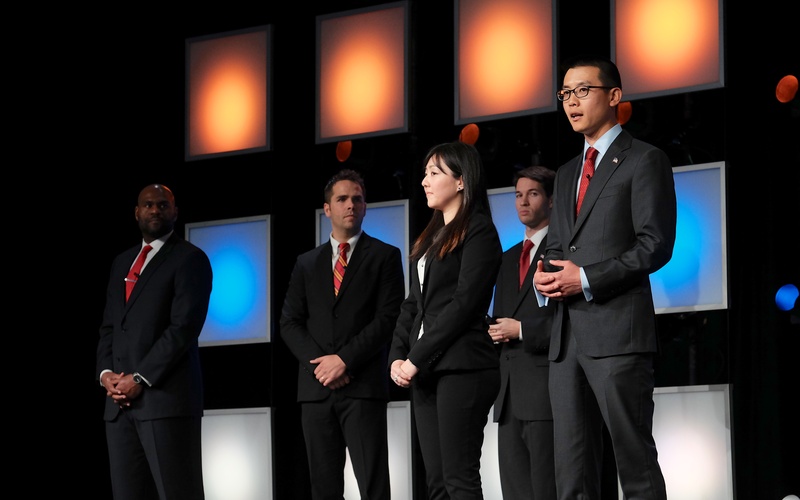 The competition is run by student volunteers who spend months balancing classwork with competition planning and logistics. This year’s co-chairs included Niki Makkinejad (MA ’16), Ayana Stukes (MA ’16), Araba Taylor (MA ’16), and Caleb Marley (BS ’16), the first undergraduate co-chair. 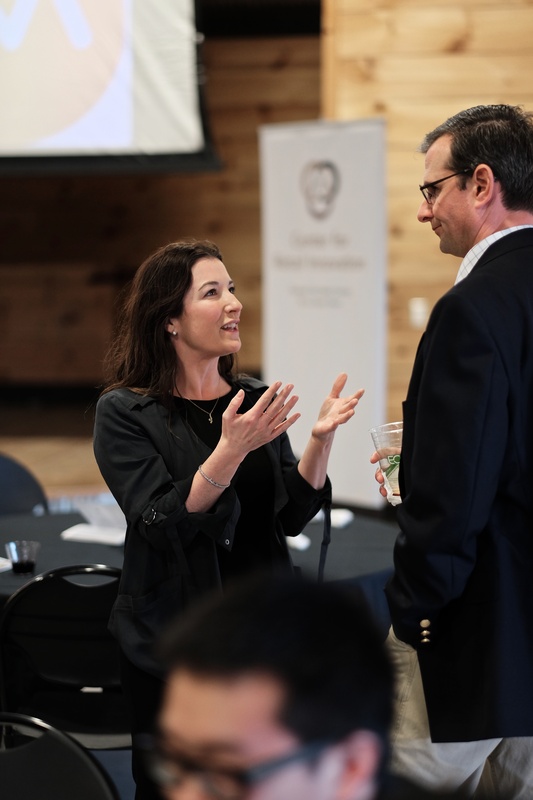 “Each year we are seeing a growing need for students to know how to analyze data sets, extract the intelligence, and formulate business insights from these analyses. 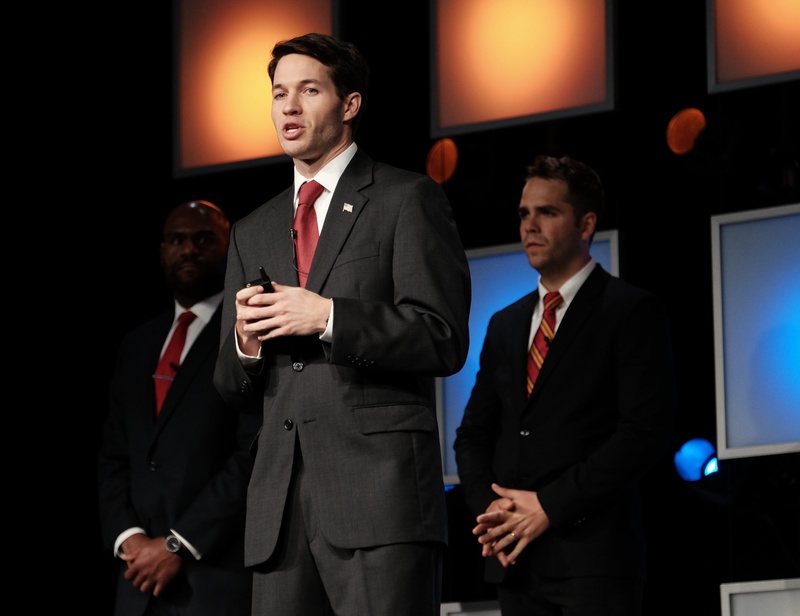 The Summit provides a unique opportunity for students to demonstrate this ability, receive recognition, and in some instances, be well rewarded for these skills."  In addition to the Wake Forest teams, seven graduate and five undergraduate teams from around the globe traveled to Winston-Salem, North Carolina, for the two-day competition. 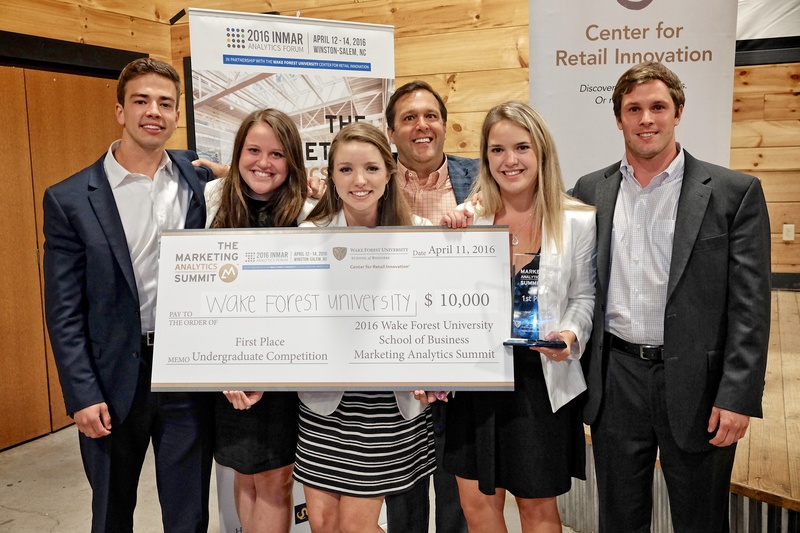 The Wake Forest graduate team won for developing a multidimensional strategy that enhances the consumer experience as it relates to healthcare and its retail application. 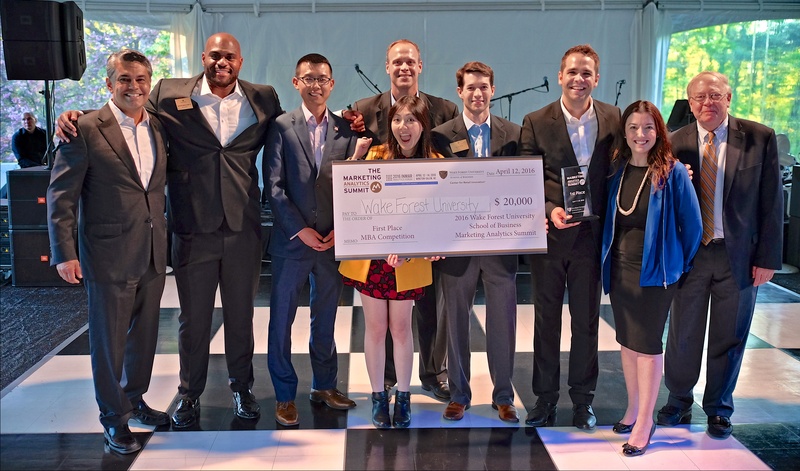 The graduate team consisting of Whitt and MBA ’16 teammates Corrine Chia, Alex Ji, Patrick McGrath, and Marlon Romulus were awarded first place and a $20,000 cash prize. 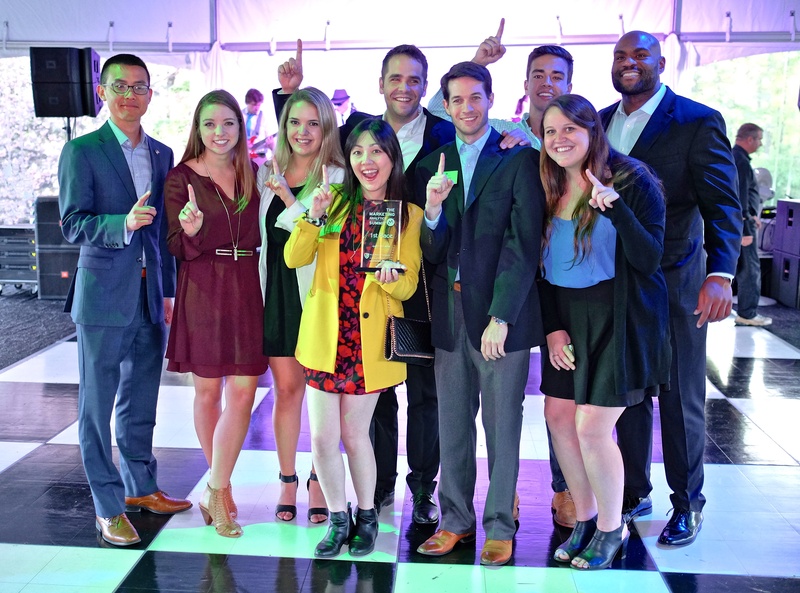 Their idea: a subscription wellness box combined with an integrated mobile app to encourage millennials to digitally engage with their healthcare and connect to CVS products and services. 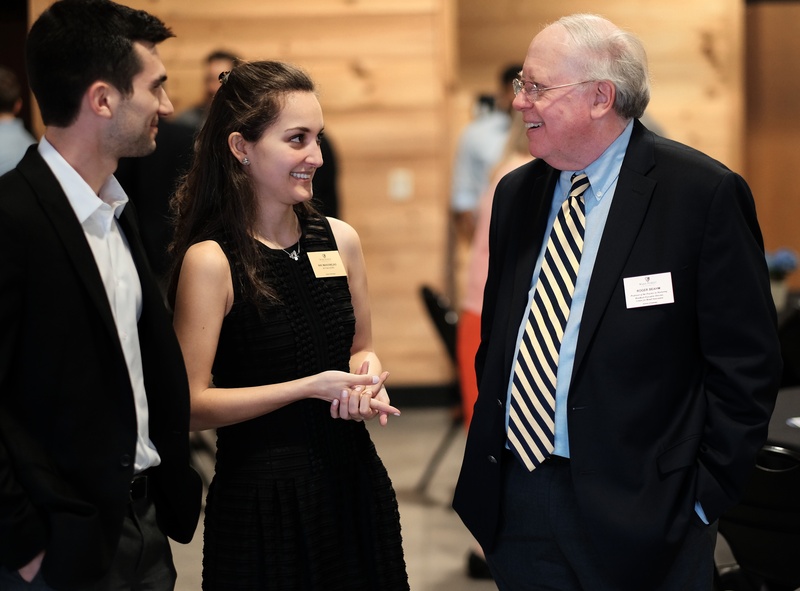 “The entire Wake Forest MBA experience has been fantastic, and ended with something like the Marketing Summit combined it all into something we can really feel good about,” said Whitt, who was also selected from more than 40 individuals to be named the John Scarritt MBA MVP for his standout performance. 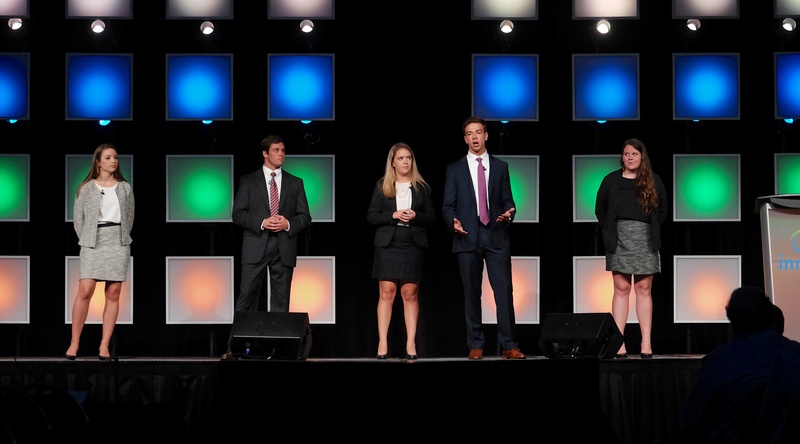 The undergraduate team consisted of Emily Bandyk, Alyssa Norton, Ella Ryan, and Michael Thomas, all senior business enterprise and management (BEM) majors, and Jack Troller, a junior majoring in finance. 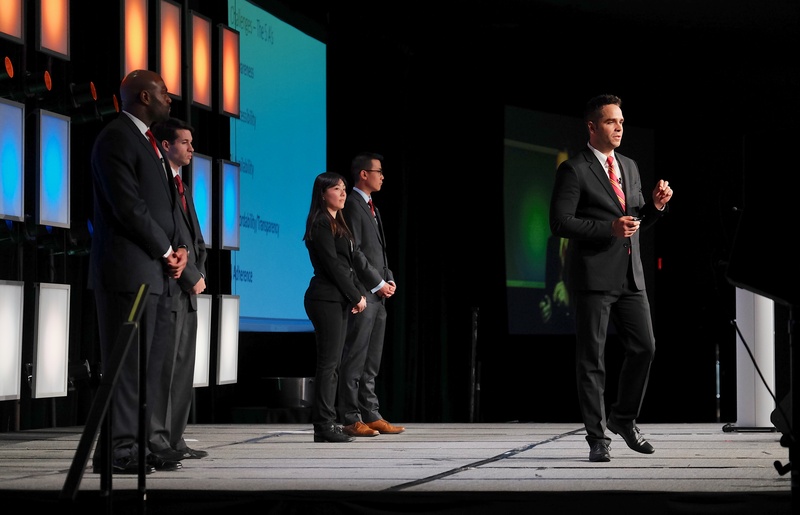 They won the first place prize of $10,000 cash and the opportunity to present their innovative ideas to nearly 700 attendees at the Inmar Forum. 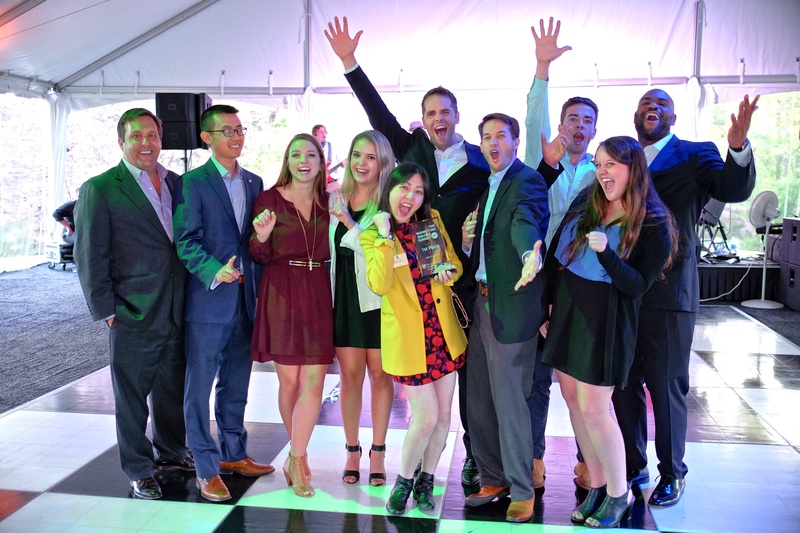 Their solution focused on how multiple generations can interact with health information, therapy, and products through one loyalty program using a mobile app. 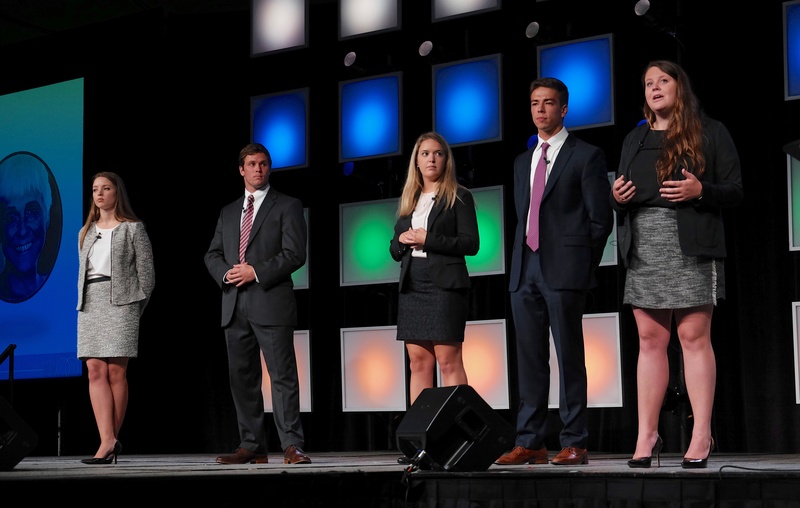 "The world’s changing very quickly and I can truly say I’m surprised every single year by the breadth of ideas that these very bright students present." 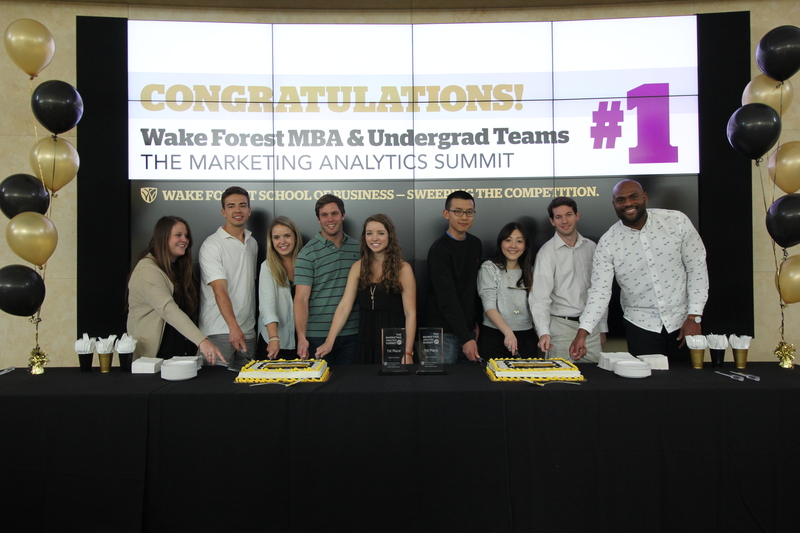 The 2016 Marketing Analytics Summit / Inmar Analytics Forum held their reception and dinner in the Barn on the WFU Campus. 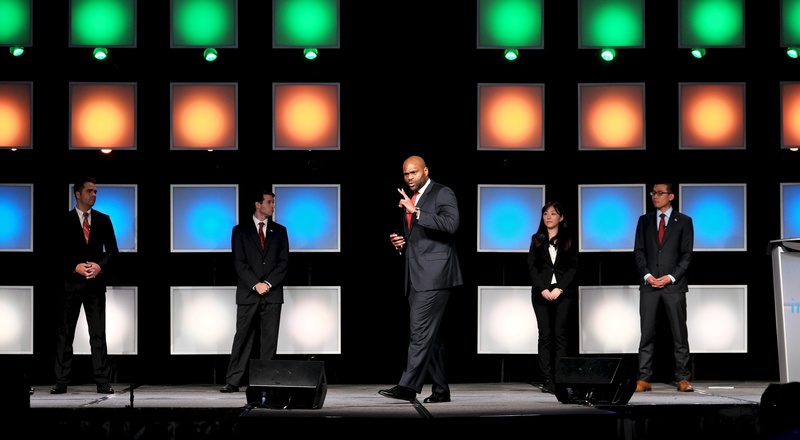 Undergrad winners were announced and graduate top teams advanced to the next day competition.